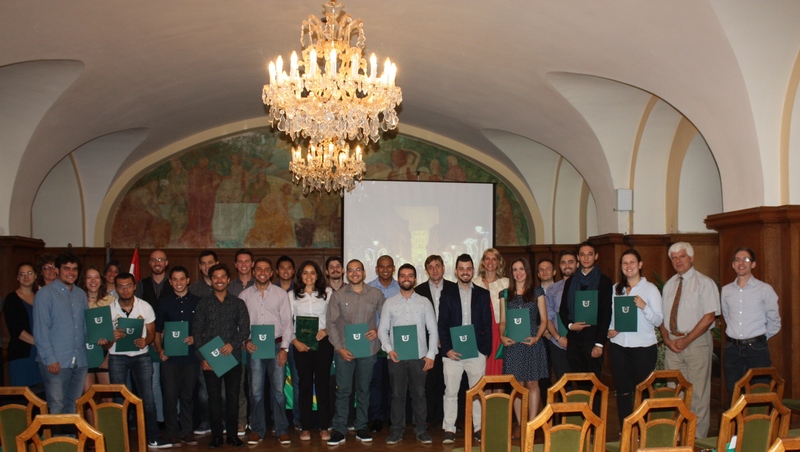 Thirty-one Brazilian students of Szent István University participating in the Science Without Borders (SWB) programme were awarded their certificates on 29 July. 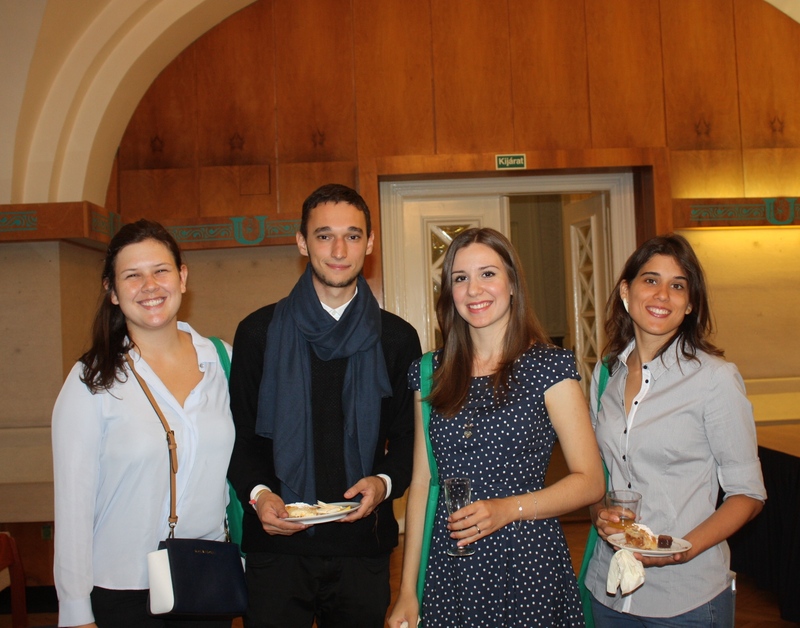 Dr. István Szabó, Director for International Relations, welcomed the professors, students and staff members involved in the programme. 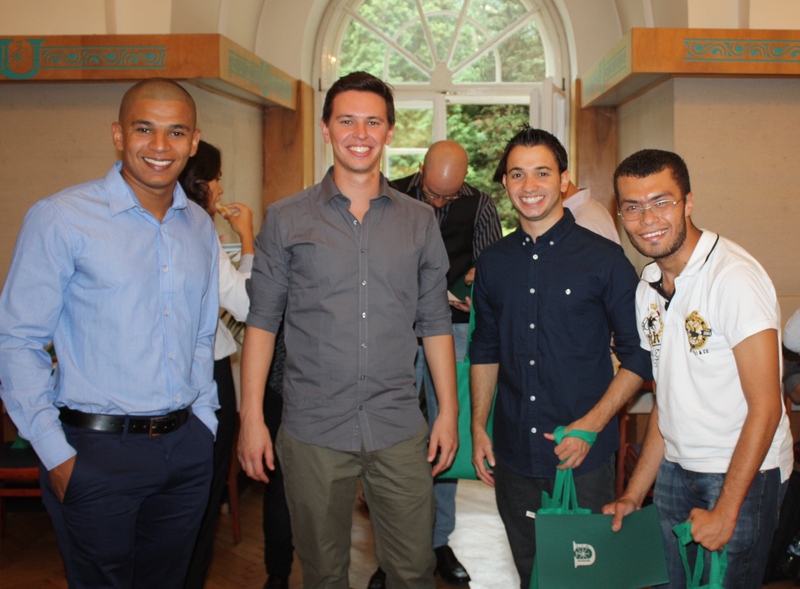 In his speech he pointed out that strengthening cooperation with Brazilian higher education institutions is a high priority for Szent István University: this academic year SZIU has already signed cooperation agreements with five Brazilian universities (Universidade Federal de Vicosa, Universidade Federal de Mato Grosso, Universidade Federal de Santa Maria, Universidade de Passo Fundo, Universidade Federal do Rio Grande). 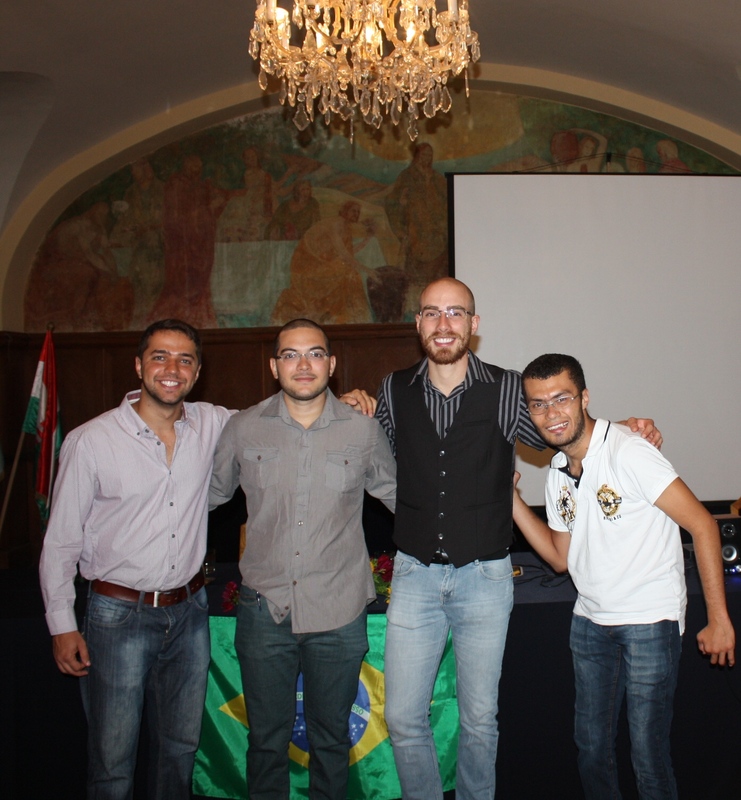 In January 2015 the first two Student Ambassadors of Szent István University received their honors, this time three students were awarded: Fabíola Estrela Maia (FAES), Maciel Aleomir da Silva (FAES) and Nelson Meireles da Silva (FVS). 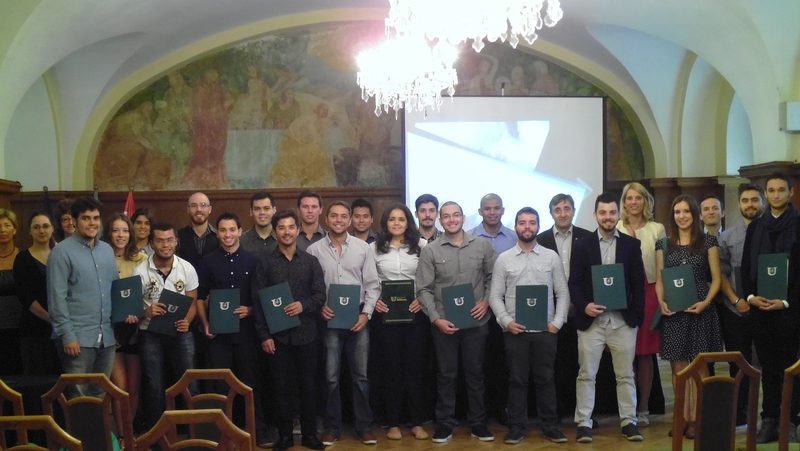 This honor involves playing an active role in the promotion of SZIU in accordance with the motto ’Share your knowledge without borders’. 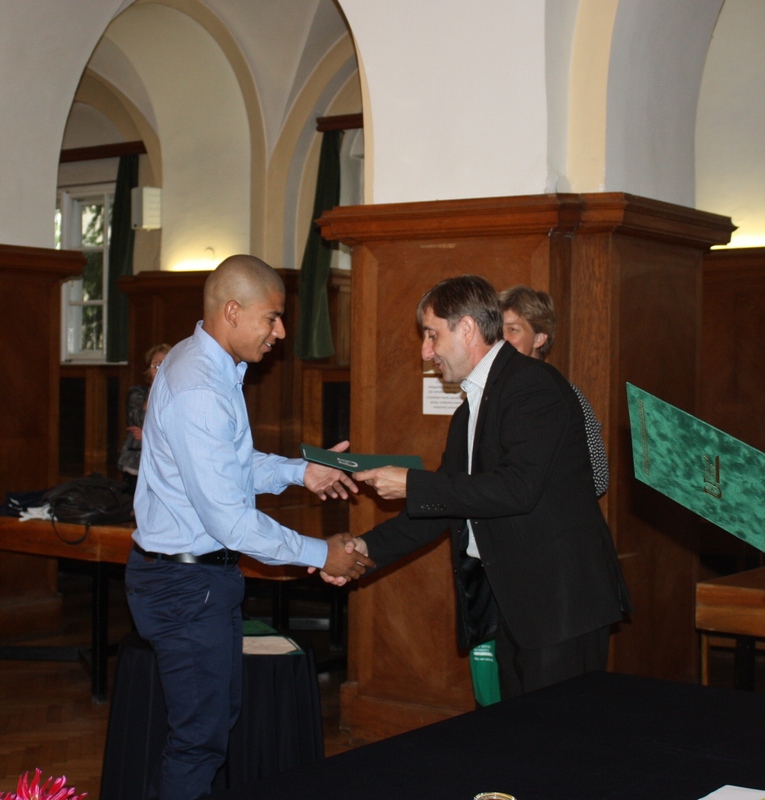 Subsequently, Dr. István Szabó handed out the certificates of completion and congratulated all students.